This is a question that I have been asked by new voiceover talents on more than one occasion. Should you sit or stand while recording? 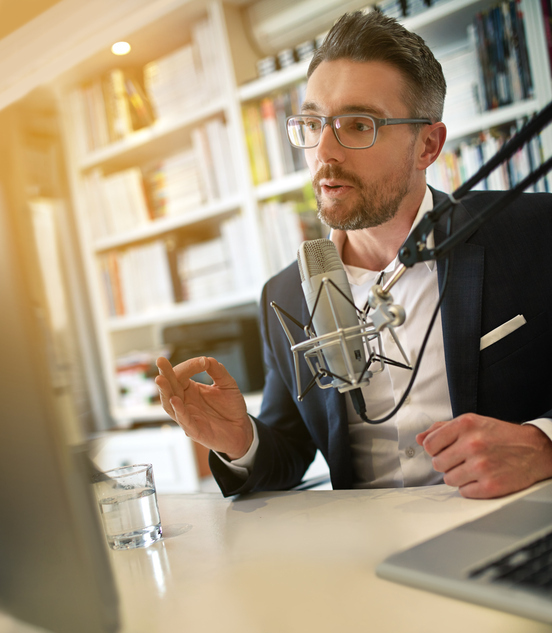 There are varying opinions, and ultimately the decision will be yours, but there are a few pros and cons to each that should be considered as you prepare to set up your voiceover studio. Achieving the Best Air Flow The flow of air through our bodies is an important part of the formation of words. The better the air flow, the better our voice will carry and the stronger it will sound. Obviously, when recording voiceover tracks, a stronger voice is a superior voice. It will come across better when listened to the recording. That means that standing scores a big point, because when we stand our airflow is less restricted. Clocking Those Hours Time is money, they say. The phrase certainly rings true when you are being per project doing voiceover work. Therefore, you want to maximize the time that you spend in the studio, because that is where your profits are made. This is why many voiceover artists forego the better airflow and opt to sit down. We naturally tire faster when standing, and often feel more comfortable when supported by a chair. The Good and Bad of Movement Typically, when recording voiceover, there is a need for a bit of acting. Even though the client may never see our facial expressions and motions, they can help us achieve a more realistic character for the project. Essentially, we commit to the role, even in the way that we move our bodies while recording. That said, too much movement in the studio can be troubling because the noise can be picked up by the microphone. Obviously, standing allows a voiceover artist to move more freely, which can be both good and bad. So, the point awarded in this category will depend on how much you like to move and how good your microphone does at blocking out background noise. Obviously, take the time to consider the pros and cons, but in the end, choose the position that allows you to create recordings that you can be proud of.